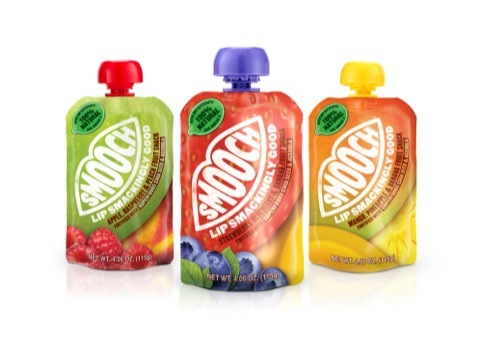 Consultancy Biles Inc has created the branding and packaging for Smooch chilled pureed fruit snack pouches. The packaging designs use a mouth-shaped logo, referencing the product name and aiming to create on-shelf stand out. 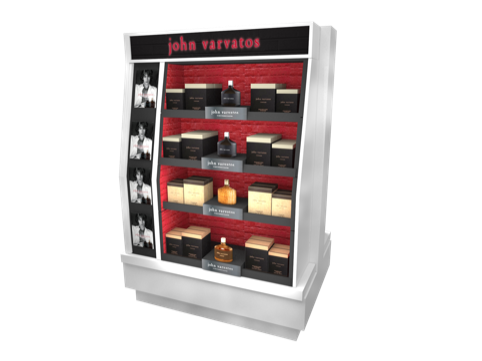 The front of the packs show the fruit ingredients, ‘demonstrating the generosity and wholesome nature of the product’, according to Biles Inc.
Sheridan & Co has designed the retail display for the launch of fashion designer John Varvatos’ debut fragrance collection. 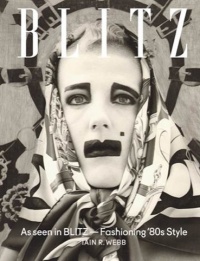 The consultancy as appointed by cosmetics brand Elizabeth Arden to create the units, with designs based on those created by Varvatos’ New York team. Sheridan & Co says it was tasked with creating and installing a ‘flexible, premium high impact display’, which will be, fitted into 40 Debenhams stores in the space of six weeks. Aardman Animations has partnered with National Film and Television School (NFTS) to launch a new three-month animation course. 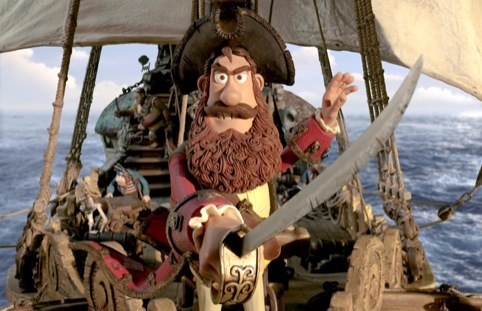 The course will be held at Aardman’s Bristol headquarters, and organisers says it aims to ‘provide the core practical skills needed to become professional animators’ through practical animation excercieses and theory classes. Benetton Group’s communication research center Fabrica has collaborated with Berg to launch Sandbox, a research and development program for the prototyping and creation of new connected products and services. Sandbox is based on the Berg Cloud platform, and comprises a campus-wide Cloud network, development boards, and product invention workshops enabling each partner organisation to prototype and develop their own connected products. Design LSM senior designer Sally Williams has been appointed to design the interiors for three restaurants at Center Parcs Village in Woburn Forest. Williams will be responsible for the designs of The Pancake House, Dining In and Rajinda Pradesh concepts. Each will have its own distinctive look and feel, with features including chalkboards for the Pancake House and large display jars filled with spices for Rajinda Pradesh, a contemporary Indian restaurant. Changing Brands has rebranded architecture practice Waterhouse ‘focussing on the carft and detail of Waterhouse’s work rather than capturing the architecture itself,’ according to John Lowdon, consultant and designer at Changing Brands. The practice was established in 1854 by Alfred Waterhouse and now promotes the use of ‘natural and beautiful materials’ in sustainable architecture according to Lowdon. 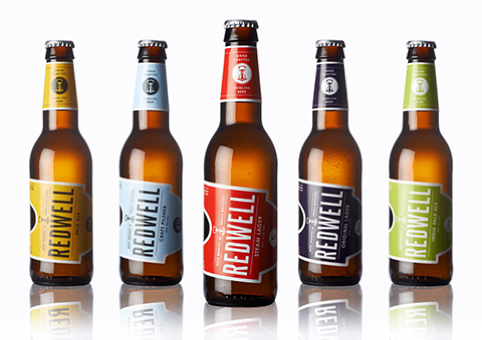 Students from Norwich University of the Arts have created the bottle designs for the new Redwell beers range, launching this month from Norwich-based brewery The Craft Brewing Co. Jason Drake, Sam Povey and Tim A’Court, third-year students of BA Graphic Design, created the full brand identity including a logo, tap lenses, bottle labels, bar mats, bar runners, posters and a website. The designs use an hourglass mark, aiming to represent the importance of longer brewing time, while the bottle label shape is inspired by Deli waiting tickets. 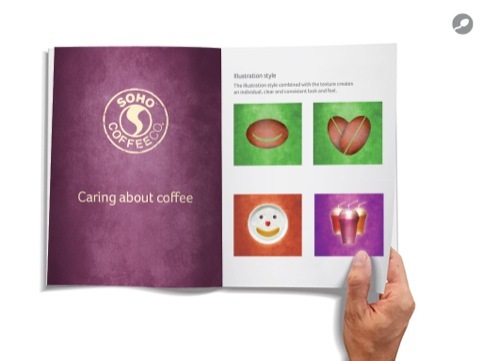 Very Creative People, formerly Sperm Creative, has been appointed to create new branding and packaging for independent coffee shop Soho Coffee Co. The brand currently has 24 stores throughout the UK and Europe, and Very Creative People will be responsible for developing branding, packaging, a new website, strategic positioning, advertising, and other multimedia platforms. 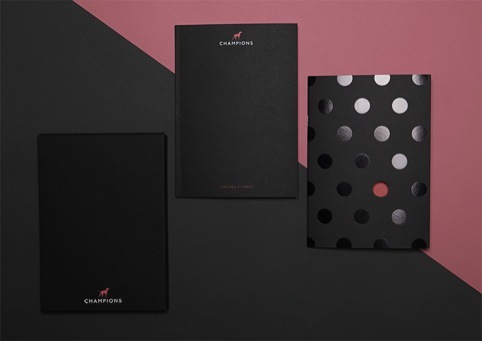 Ideas Factory has created new branding for Chelsea-based estate agents, Champions. The identity uses a red, black and white colour palette, with spots used across touch points including stationery, key rings, mugs and other collateral. The logo features a gun dog in the brand colours. 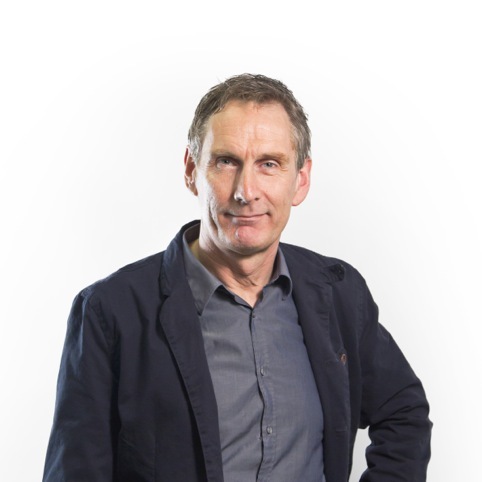 Andy Davey has been appointed to lead consultancy DCA’s work for consumer product brands. Prior to joining DCA, Davey worked for three years as consultant creative director ID Europe for global telecoms company Huawei, setting up their design studios in Stockholm and London. Davey will report to DCA director Nick Mival and work alongside Peter Kay who leads DCA’s work for FMCG product brands. 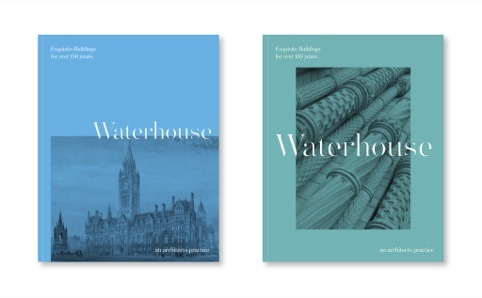 Changing Brands has created the identity for architecture practice Waterhouse. The designs are informed by the ‘the craft and detail of Waterhouse’s work rather than capturing the architecture itself’, according to Moving Brands. The identity is shown across all touch points, including a new website which will launch this summer. Farrow Creative has been appointed to design a new website for Weald and Downland Museum, an open air museum in Singleton, Sussex. The site is due to launch in September. Simon Griffin, Howard Wakefield and Sarah Parris (formally Studio Parris Wakefield) have launched new consultancy Design Dialogue. Based in Sussex, Design Dialogue, which is recognised by the DBA, currently has a client list including New Order Rick Stein – The Seafood Restaurant and Radikale Venstre (the Danish Social Liberal party). Artist Chris Bracey, who works with neon signage, has rebranded interiors PR company Arc. 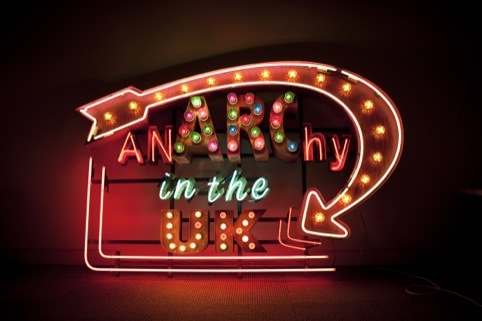 The new identity uses a neon work by Bracey showing the Arc logo, designed internally, and the slogan ‘anARChy in the UK’. Lighting designers Spiers + Major has appointed Andrew Howis as managing director and Clementine Rogers to the role of design associate. 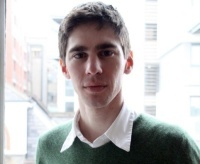 Howis has been at the consultancy since 2006, and has worked on projects including the St Botolph Building with Grimshaw and the University of the Arts,London with Stanton Williams. Other internal promotions include the appointment of Benz Roos as senior designer and Kerem Asfuroglu as project designer. Students Tim Powell and Wee-Min Chin from Goldsmiths University BA design course have designed the four trophies for the Orwell Prize awards. The prizes are awarded to authors, journalists and bloggers for political writing that comes closest to writer George Orwell’s ambition ‘to make political writing into an art’. The designs are inspired by transparency and justice, according to Goldsmiths. Banana Split has created a video for paper manufacturer Arjowiggins Graphic and paper distributor Antalis called Paperworld: Behind the Scenes. The video aims to convey the role of the designer in creating a campaign. It shows animals such as foxes, created using models and a 3D programme to make the creatures appear as though they were made of paper. 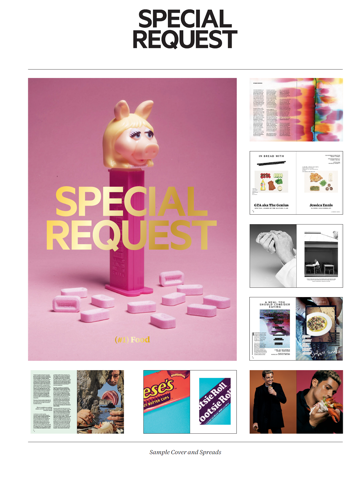 Paul Sethi has created the editorial design and cover for the debut issue of Special Request, a new quarterly culture publication. The first issue, which launches this month, focuses on food, with the cover image showing a Miss Piggy Pez sweets dispenser and using a gold-foiled paper stock.